Addendum 2 Fixed Base Operator (FBO) at the Fabens Airport Lucy 01/27/2017at 2:00 p.m. 16-073 RFP was awarded by Commissioners Court on Monday, February 6, 2017 to enter into negotiations with Olivas Aviation. Justice of the Peace Security Improvements Blanca 01/24/2017 at 2:00 p.m. 16-072 Bid was awarded by Commissioners court on Monday, February 6, 2017 to AJ Commercial Security Improvements. 02/28/2017 at 2:00 p.m. 16-071- tab On Monday, July 10, 2017, Commissioner Court approve and authorize the partial award to Redwood Toxicology for the Alcohol, Drug Testing Supplies only. Specifications for Laboratory Services will be revised and reissued. All necessary contract documents will be submitted to Commissioners Court at a later date for consideration and action. Addendum 1 PACT Assessment Case Management Software for the Juvenile Probation Department Blanca 12/20/2016 at 2:00 p.m. RFP was awarded by Commissioners Court on Monday, April 15, 2017 to Noble Software Group, LLC. THC Historic Resources Survey Manual Historical and Architectural Survey for the County of El Paso Lucy 12/08/2016 at 2:00 p.m. 16-069 RFP was awarded by Commissioners Court on Monday, April 24, 2017 to Hardy-Heck-Moore, Inc. (HHM). Addendum 1 Four (4) Steam Jacket Kettles for the Sheriff's Jail Annex Kitchen Andres 11/08/16 at 2:00 p.m. 16-068 Bid was awarded by Commissioners Court on Monday, December 05, 2016 to National Restaurant Supply. 16-067 Paving and Overlay Services for the 2016 Overlay Paving Project for the County of El Paso (re-bid) Blanca 11/02/2016 at 2:00 p.m. 16-067 Bid was awarded by Commissioners Court on Monday, January 30, 2017 to J.A.R. Concrete Inc. dba J.A.R. Construction. Construction for Water Installation on Wiloughby Road Lucy 11/04/2016 (Friday) at 2:00 p.m. 16-066 Bid was awarded by Commissioners Court on Monday, December 19, 2016 to Martinez Bros Contractors, LLC. 16-065 As-Needed Geotechnical and Material Testing Services for the County Projects Lucy 11/03/2016 at 2:00 p.m. 16-065 RFQ was awarded by Commissioners Court on March 6, 2017 to Amec Foster Wheeler Environment & Infrastructure, Inc and CQC Testing and Engineering, LLC. Automobile Tires for the County of El Paso Blanca 11/02/2016 at 2:00 p.m. Bid 16-064 was closed out on Monday, April 10, 2017. 16-063 Automobile Batteries for the County of El Paso Blanca 11/02/2016 at 2:00 p.m. 16-063 Bid 16-063 was closed out on Monday, April 10, 2017. Addendum 1 Drug Court Counseling Services for the Juvenile Probation Department Lucy 10/25/16 at 2:00 p.m. 16-062 RFP was awarded by Commissioners Court on Monday, January 30, 2017 to Aliviane, Inc.
Food Services for the City/County Nutrition Program Blanca 10/18/2016 at 2:00 p.m. On Monday, November 7, 2016 Commissioners Court authorized the Purchasing Agent to close out Bid #16-061. Bid was awarded by Commissioners Court on Monday, October 24, 2016 to Dan Williams Company. Addendum 1 Supply and Installation of Police Use of Force Training Simulator for the County of El Paso Lucy 09/27/2016 at 2:00 p.m. 16-059 RFP was awarded by Commissioners Court on Monday, January 23, 2017 to Ti Training LE. Addendum 1 Janitorial Supplies for the County of El Paso Blanca 09/13/2016 at 2:00 p.m. 16-058 On Monday, March 27, 2017 Commissioners Court authorized the Purchasing Agent to close out Bid #16-058. Commissioners Court approved to reject bid and look into DIR Contract on Monday, October 31, 2016. Tie Breaker Food Products for the County of El Paso Andy 09/06/16 at 2:00 p.m. 16-056 Commissioner's Court approved to close out bid on March 27, 2017. Pre-bid sign in sheet 4ft Rock Wall and Walking Path for Teran Park and Estrella Park Lucy 9/6/2016 at 2:00 p.m. 16-054 Bid was awarded by Commissioners Court on 10/17/16 to Black Stallion Contractors, Inc. Paving and Overlay Services for 2016 Overlay Paving Project for the County of El Paso Blanca 09/14/2016 at 2:00 p.m. 16-053 No award see re-bid 16-067. Supplier of H.M.A.C Grade C for 2016 Overlay Paving Project for the County of El Paso Blanca 09/16/2016 at 2:00 p.m. 16-052 Bid was awarded by Commissioners Court on 10/17 16 to Cemex Construction Materials South, LLC. 16-051 Transportation of Deceased for the Office of the Medical Examiner and Forensic Laboratory Lucy 08/30/2016 at 2:00 p.m. 16-051 RFP was awarded by Commissioners Court on Monday, October 24, 2016 to Legacy Mortuary Service. Steam Jacket Kettle for the Sheriff's Jail Annex Kitchen Andres 08/30/16 at 2:00 p.m. Bid 16-050 was closed out. 16-049 Paving Asphalt Emulsion for Road & Bridge Department Blanca 08/18/2016 at 2:00 p.m. 16-049 Bid was awarded by Commissioners Court on 10/17 16 to Holly Frontier Refining & Marketing, LLC. Paving Pock for Road & Bridge Department Blanca 08/18/2016 at 2:00 p.m. 16-048 Bid was awarded by Commissioners Court on 10/17 16 to Cemex Construction Materials South, LLC. Engineering Services for the Design of First Time Water Distribution System for Hillcrest Center & Hillcrest Estates Lucy 08/23/2016 at 2:00 p.m. 16-047 RFQ was awarded by Commissioners Court on Monday, October 3, 2016 to Moreno Cardenas. Collection Services for the County of El Paso Lucy Friday, 09/23/2016 at 2:00 p.m. 16-046 RFP was postponed by Commissioners Court on Monday, January 23, 2017 for two weeks. RFP was awarded on Monday, February 13, 2017 by Commissioners Court to Harris & Harris, Ltd.
FY2016 Scanners, Printers, Computers, Laptops and Tablets for the County of El Paso Blanca 08/23/2016 at 2:00 p.m. 16-045 Bid was awarded by Commissioners Court on Monday, January 30, 2017 to Hypertec USA, Inc. (dba Hypertec Direct), PCS Mobile, Spectrum Technologies, and Synergy. Additional awards to be named later. 16-043-tab Bid will be discussed in Commissioners Court on Monday, December 19, 2016. 16-042-tie breaker Bid was awarded by Commissioners Court on Monday, November 14, 2016 to multiple vendors. Please view spreadsheet. Life, Voluntary Life and Vision Insurance for the County of El Paso Blanca 08/22/2016 16-041 On Monday, October 17, 2016 Commissioners Court awarded RFP to Aetna Life Insurance Company and Dearborn National Life Insurance Company. 16-040 Purchase of One (1) Pothole Patcher, Trailer Mounted for the County of El Paso Lucy 7/14/2016 at 2:00 p.m. 16-040-tab On Monday, August 15, 2016 Commissioners Court awarded to Texas Patcher. Addendum 1 Term Sheet Offers from Direct Purchase Lenders for the County's Estimated $2.480 Million Certificate Lucy 6/23/2016 at 2:00 p.m. No proposals received. On Monday, June 27, 2016, Commissioners Court approved to award to Capital One through an informal bid. Power Point Community Service Agencies for Adult Probation Lucy Friday, 9/16/2016 at 2:00 p.m. 16-038 Responses received. No further action. RFI closed. Voting Equipment Software and Services for the County of El Paso Blanca 07/07/16 16-037 Item will be on Commissioner's Court Monday, September 26, 2016 to authorize the Purchasing Agent to close the solicitation. 8/29/2016 at 2:00 p.m. 16-036 On Thursday, December 15, 2016, bid was awarded by Adult Probation to NCS. 16-035 Replace Existing Emergency Fire Pump at County Courthouse (Re-Bid) Blanca 06/09/2016 at 2:00 p.m. No bid responses received. 16-034 Prisoner Extradition and Transportation Services for the County of El Paso (Re-do) Lucy 06/08/2016 at 2:00 p.m. 16-034 RFP will be discussed on Commissioners Court on Monday, October 30. 2017. Copy Paper, Envelopes, and NCR for the County of El Paso Blanca 05/17/2016 at 2:00 p.m. 16-032 On Monday, July 25, 2016 Commissioners Court awarded to two vendors- Olmsted Kirk Paper Co. and Xpedx, LLC. Replace Existing Emergency Fire Pump at County Courthouse Blanca 04/26/2016 at 2:00 p.m. No award see re-bid #16-035. 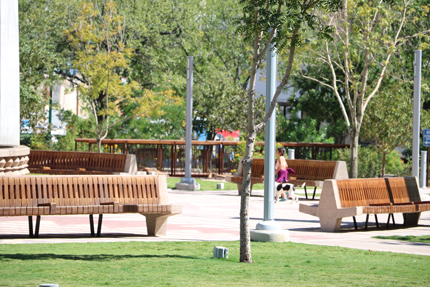 Addendum 3 Pro Shop Services for the County of El Paso Lucy 04/19/2016 at 2:00 p.m. No proposal responses received. Attachment 2 Parking Lot Management Services for the County of El Paso Overland MDR Parking Lot Lucy 04/21/2016 at 2:00 p.m. 16-029 On Monday, July 25, 2016 Commissioners Court awarded to Parking Lot Systems of America. Purchase of Two (2) Industrial Shredders for County Clerk's Archives Blanca 04/28/2016 at 2:00 p.m. 16-028 On Thursday, May 19, 2016, bid was awarded by County Clerk's Archives to Spectrum Technologies, Inc.
Addendum 2 Home Rehabilitation Program for the County of El Paso Colonia Self Help Center Lucy 04/26/2016 at 2:00 p.m. No bid responses received. 16-025 X-Ray/Radiology Equipment for Medical Examiner's Office Lucy 04/05/2016 at 2:00 p.m. 16-025 On Monday, August 29, 2016 Commissioners Court awarded to CIMS- Clinical Image Mgt. Treatment for Juveniles with Mental and/or Behavioral Health Blanca 04/18/2016 at 2:00 p.m. No award see re-do #16-033. Construction of Sidewalks in the Sparks/Westway Areas Lucy 06/15/2016 at 2:00 p.m. 16-023-tab Bid was awarded by Commissioners Court on Monday, October 31, 2016 to Allied Paving Company. 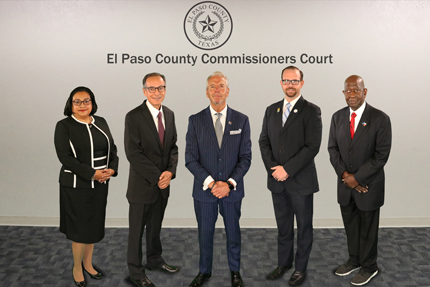 Addendum 5 Catering and Concession Services for the County of El Paso Lucy 4/19/2016 at 2:00 p.m. 16-022 On Monday, May 2, 2016, Commissioners Court approved to delay award to investigate other restaurant options. Award a six month contract to Lumar Enterprises for the golf course and all locations at the sports park. 16-021 Purchase of 2016 Sedans, Trucks and Vans for the County of El Paso Blanca 03/23/2016 at 2:00 p.m. 16-021 On Monday, May 16, 2016 Commissioners Court awarded to Casa Ford, Rudolph Chevrolet, and Buyboard Contract #430-13 Silsbee Ford. 16-020 Prisoner Extradition and Transportation Services for the County of El Paso Lucy 03/23/2016 at 2:00 p.m. 16-020 No award see re-bid #16-034. 16-018 Internal Audit Software for the County of El Paso Blanca 03/22/2016 at 2:00 p.m. 16-018 Bid was awarded by Commissioners Court on Monday, July 11, 2016 to Morgan Kai Limited. 16-017 Purchase of Police Interceptor Utility (SUV) AWD Patrol Vehicles (7 Sheriff's; 6 Constables) Lucy 03/10/2016 at 2:00 p.m. 16-017-tab Bid was awarded by Commissioners Court on May 16, 2016 to Buyboard Contract #430-13 Silsbee Ford. 16-016 Tifway Bermuda SOD for Three (3) Parks Projects (Re-Bid) Blanca 03/17/2016 at 2:00 p.m. 16-016 Bid was awarded by Commissioners Court on Monday, May 16, 2016 to Ewing Irrigation Products. Addendum 1 Psychological Employment Screenings for the County of El Paso Lucy 03/16/2016 at 2:00 p.m. 16-015 On Monday, June 27, 2016, Commissioners Court approved to close out RFP ending the procurement process and issue an informal proposal for a one (1) year term. Addendum 1 Employment Drug and Alcohol Screenings for the County of El Paso Lucy 03/16/2016 at 2:00 p.m. 16-014 On Monday, July 11, 2016, Commissioners Court awarded RFP to Confidential Drug Testing. As-Needed Engineering Services for County Projects Blanca 03/08/2016 at 2:00 p.m. 16-013 On Monday, July 18, 2016, Commissioner's Court authorized the Interim Purchasing Agent to enter into negotiations with RBM Engineering, Inc. & AEG,LLC Mechanical Engineers. As-Needed Architectural Services for County Projects Blanca 03/08/2016 at 2:00 p.m. 16-012 RFQ was Approval and enter into negotiations by Commissioners Court on Monday, June 6, 2016 with Carl Daniel Architects and MNK architects, Inc.
Bid was awarded by Commissioners Court on Monday, May 23, 2016 to Desert Contracting, LLC. Addendum 1 Equipping Eleven (11) 2016 Ford Explorer Police Utility SUV's Lucy 03/01/2016 at 2:00 p.m. 16-010-tab Bid was awarded by Commissioners Court on Monday, March 21, 2016 to Alamo Industries, Inc.
Recreation Management Software Application for the County of El Paso Blanca 03/10/2016 at 2:00 p.m. 16-009 Item will be discussed later in budget hearing on October 2016. Addendum 1 Purchase of One (1) New Prisoner Transport Bus for the County of El Paso Sheriff's Department Lucy 03/01/2016 at 2:00 p.m. No bid responses received. On Monday, July 18, 2016 Commissioner's Court awarded RFP to Spectrum Imaging Technologies. RFP was awarded by Commissioners Court on Monday, November 21, 2016 to Aramark Correctional Services, LLC. Adolescent Sexual Behavior Therapy for the Juvenile Probation Department Blanca 02/11/2016 at 2:00 p.m. 16-004 RFP was approved by Commissioners Court on Monday, March 14, 2016 to award The Family Empowerment Center. pre-bid attendance Pool Renovation Project at Ascarate, Fabens and Canutillo Pools Lucy 02/19/2016 at 2:00 p.m. 16-003 On Monday, March 14, 2016, Commissioners Court awarded to Black Stallion Constructors Inc.
16-002 Two (2) Midsize Sedans and One (1) Full Size Sport Utility Vehicle (SUV) for the County of El Paso Lucy 02/09/2016 at 2:00 p.m. 16-002-tab Bid was approved by Commissioners Court on Monday, February 29, 2106 to award two (2) midsize sedans to Rudolph Chevrolet and fullsize SUV to Casa Ford Inc.
Addendum 1 Purchase of One (1) Roll On/Roll Off Truck for the County of El Paso Blanca 02/09/2016 at 2:00 p.m. 16-001 On Monday, March 7, 2016 Commissioners Court awarded RJ Border International, LP.